There has been quite a bit of knitting, in fact; however, the husband's Ranger has turned into quite a slog. 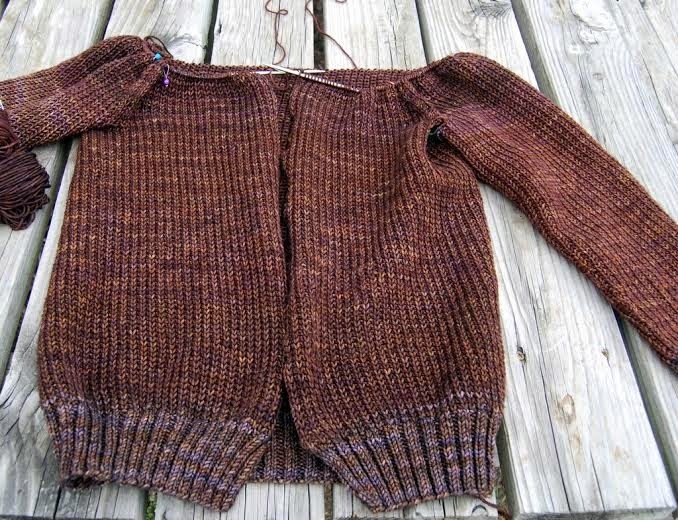 It's not the pattern, which is easy to read and follow, but the actual knitting of a sweater for the length and width of a man-sized man. Except, that did not happen. So, this is where I have been for the last five days, knitting endlessly with very little progress. One thing I can certainly share, this thing will be extremely warm, when it is eventually finished. God help him, if he doesn't wear it, when all is done.